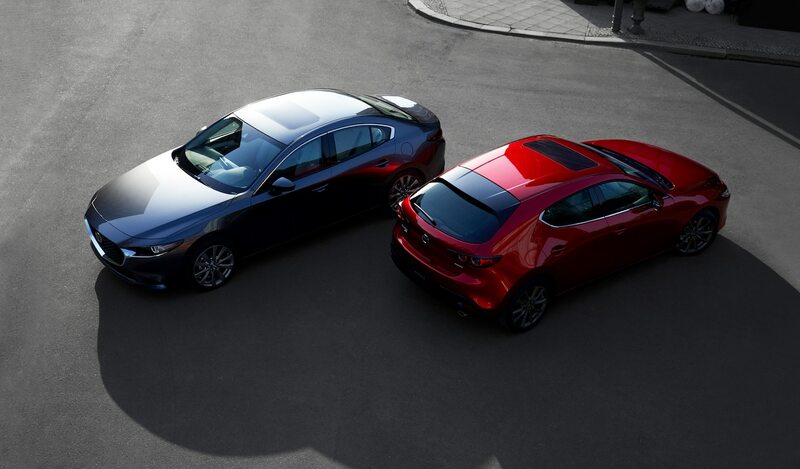 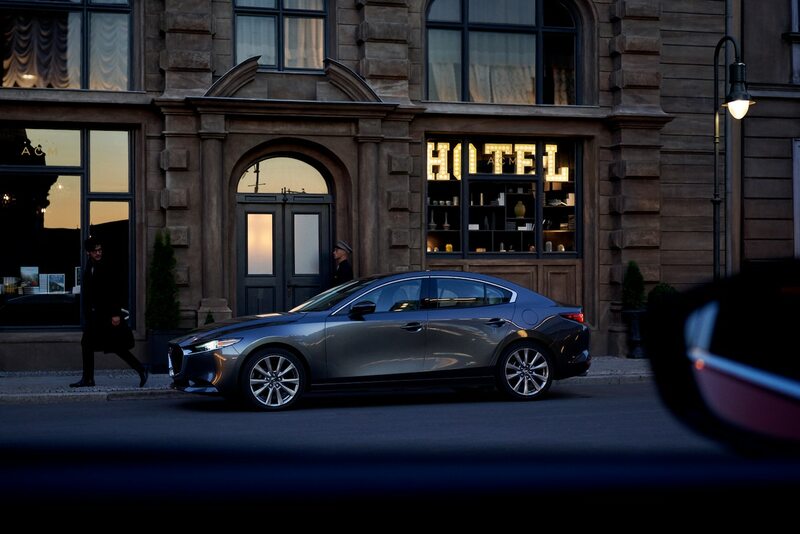 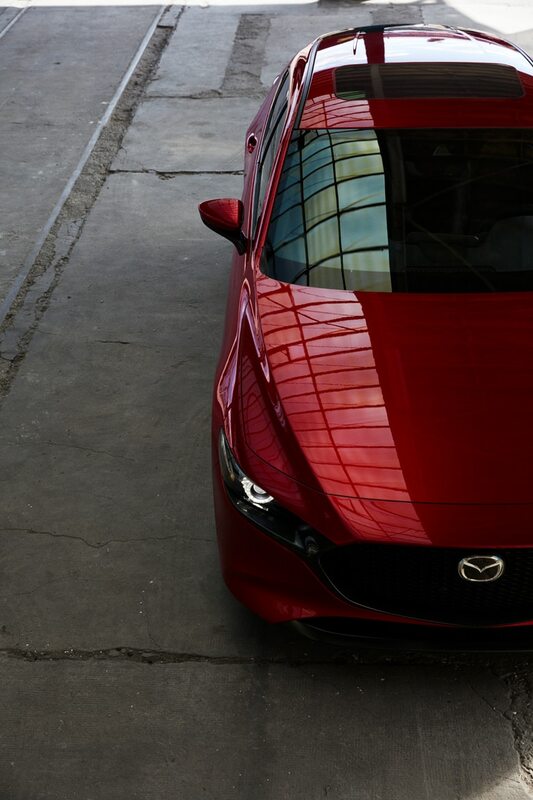 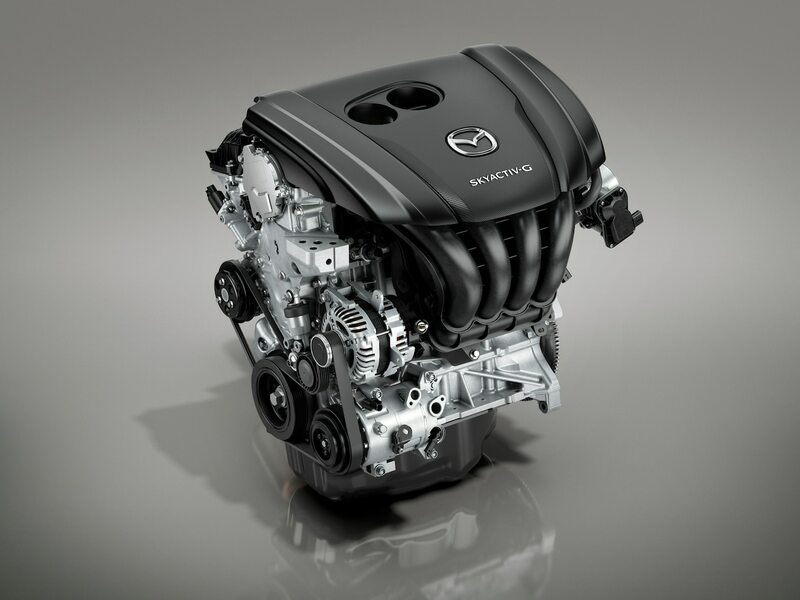 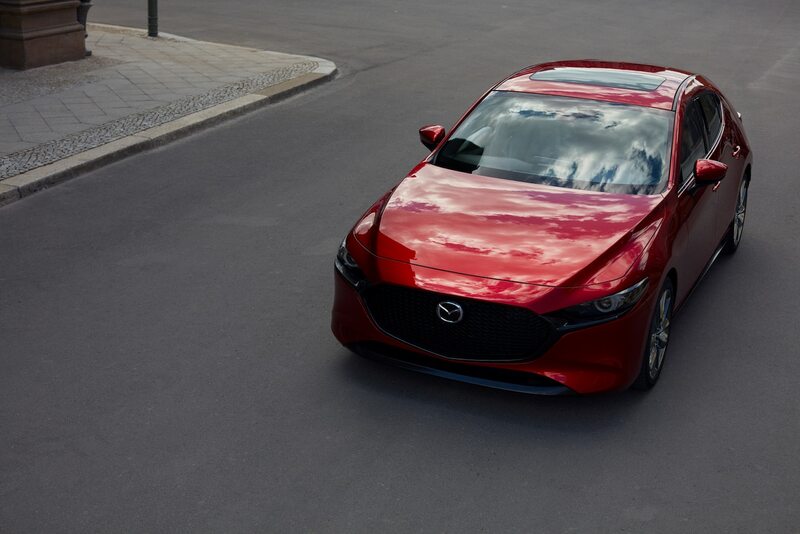 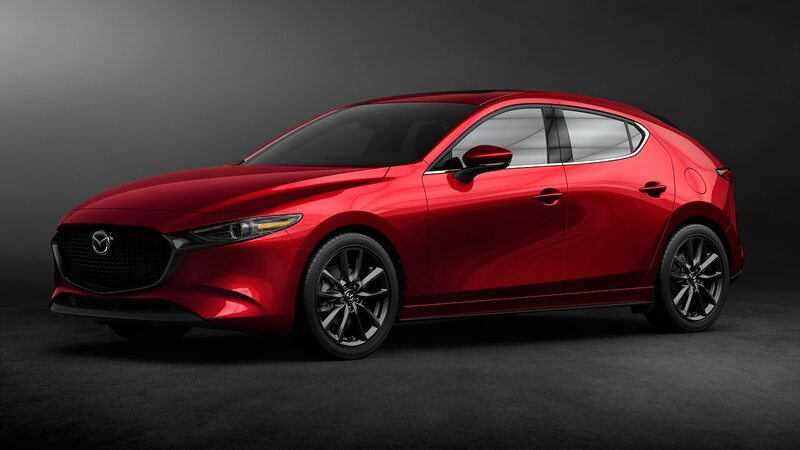 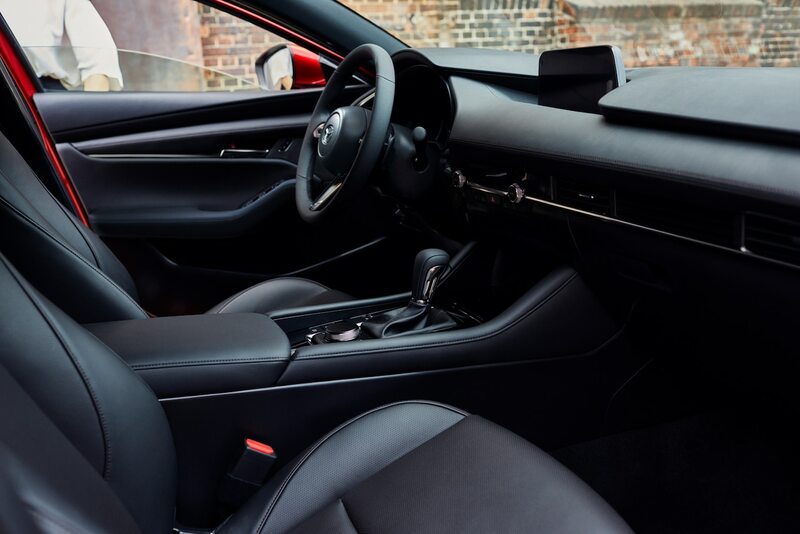 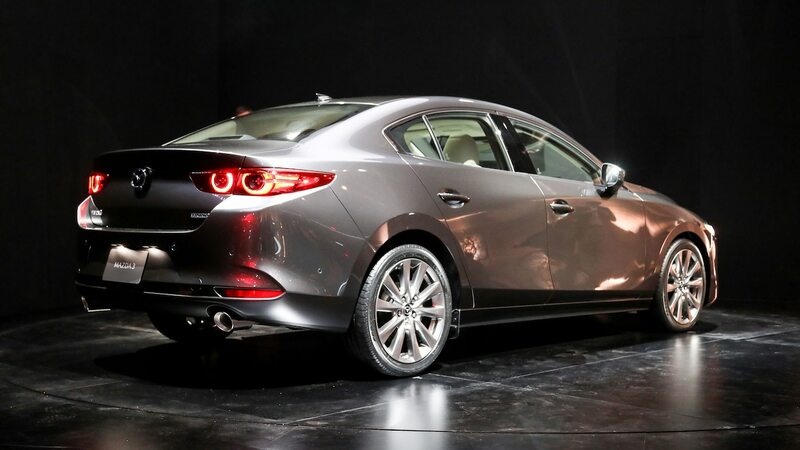 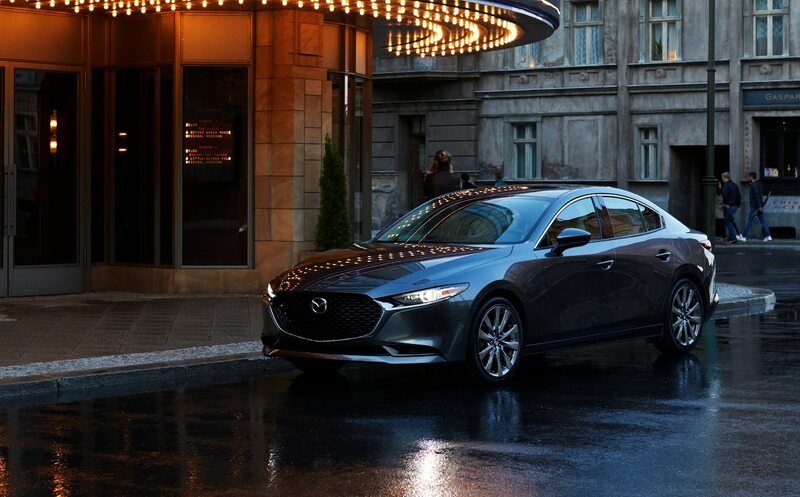 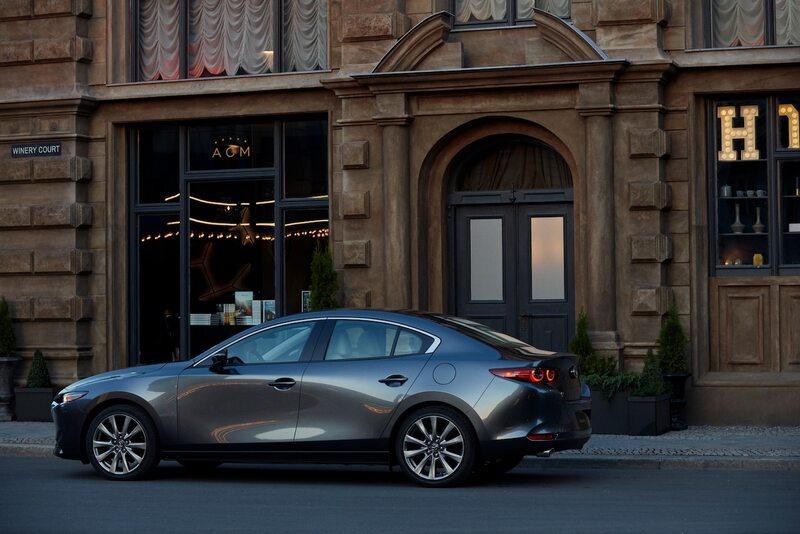 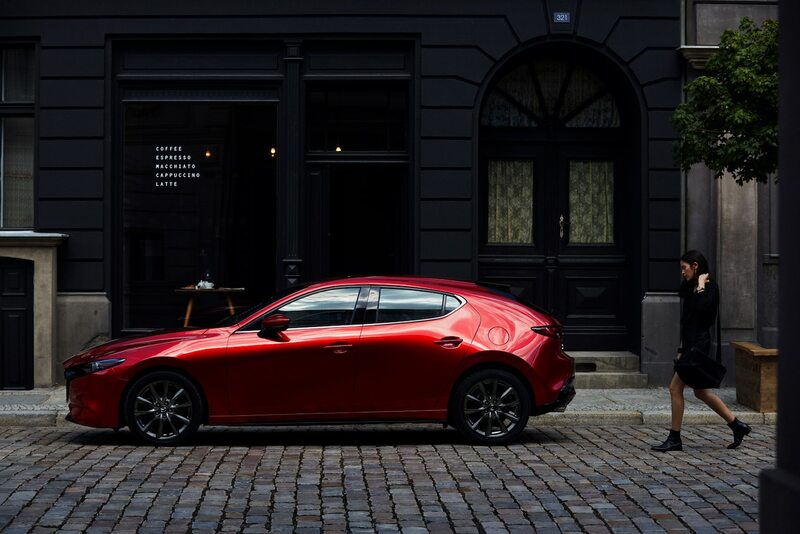 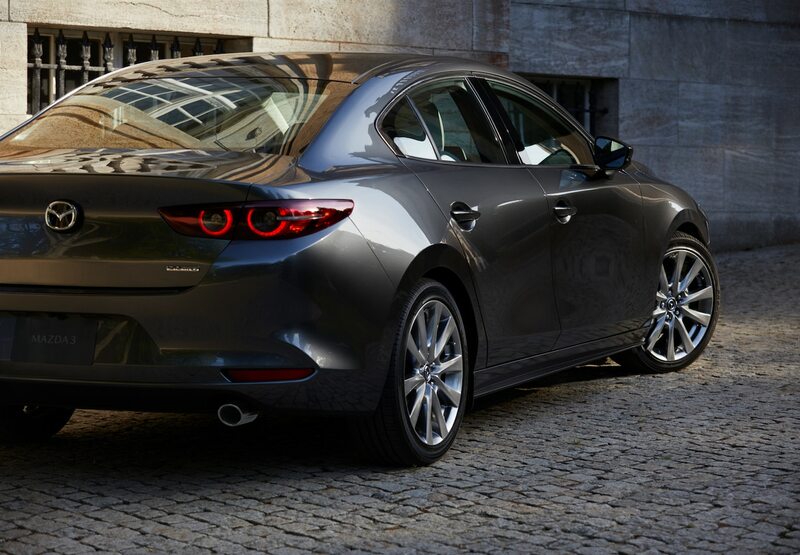 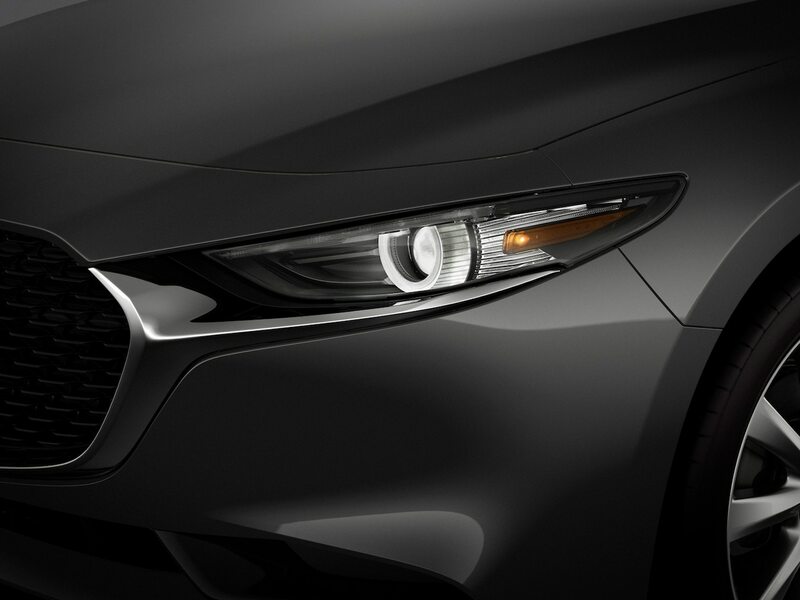 The new 2019 Mazda3 boasts some of the most gorgeous styling in the compact segment, plus available all-wheel drive and a mild hybrid engine—and that’s great, but you really just want to know what it’s like in person, right? 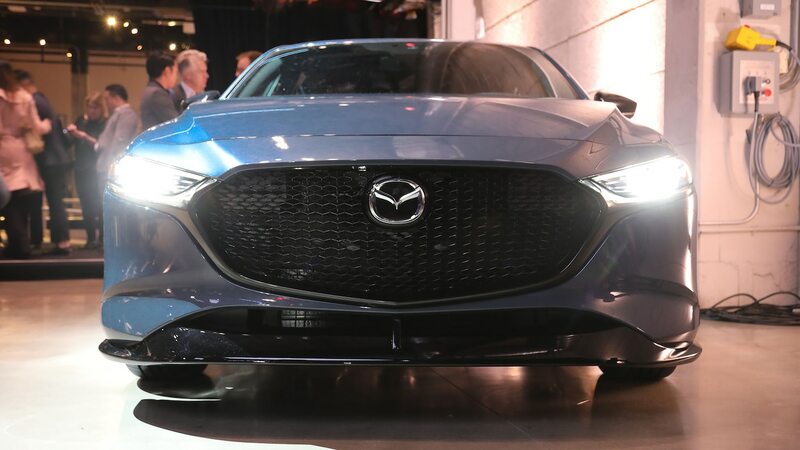 We braved the crowd swarming the 2019 Mazda3 hatch and sedan after the cars’ reveal at the 2018 Los Angeles Auto Show to get a closer look. 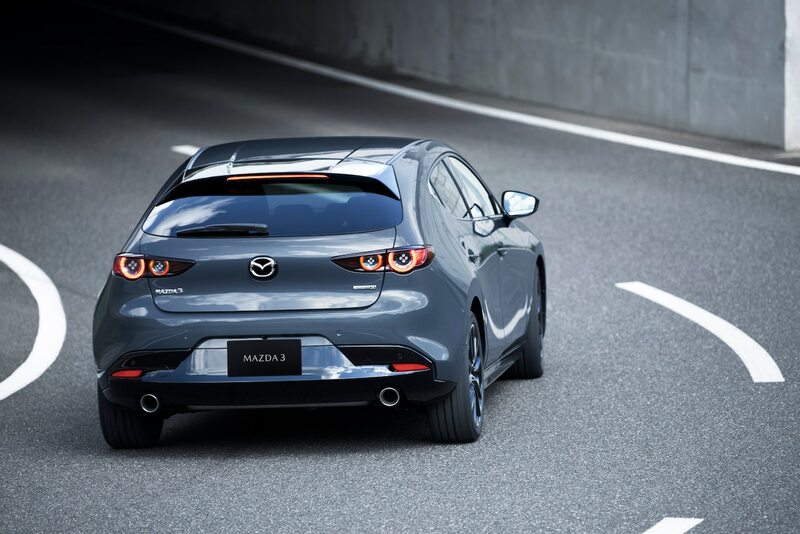 So from someone who nearly bought a Mazda3 a few years ago, here are a few first impressions. 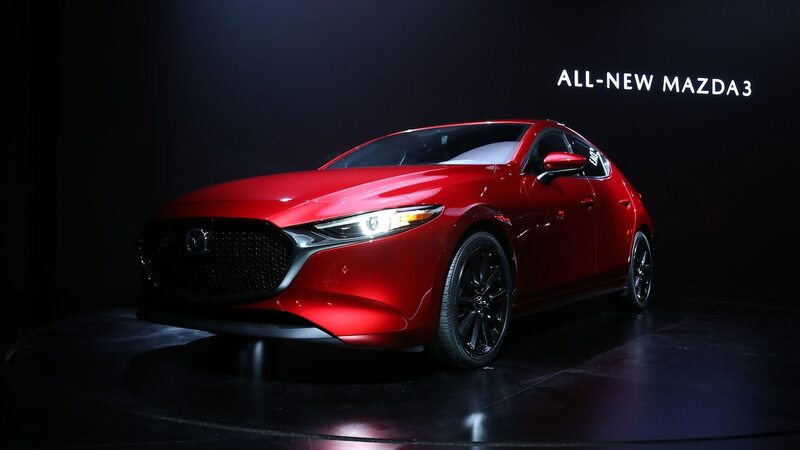 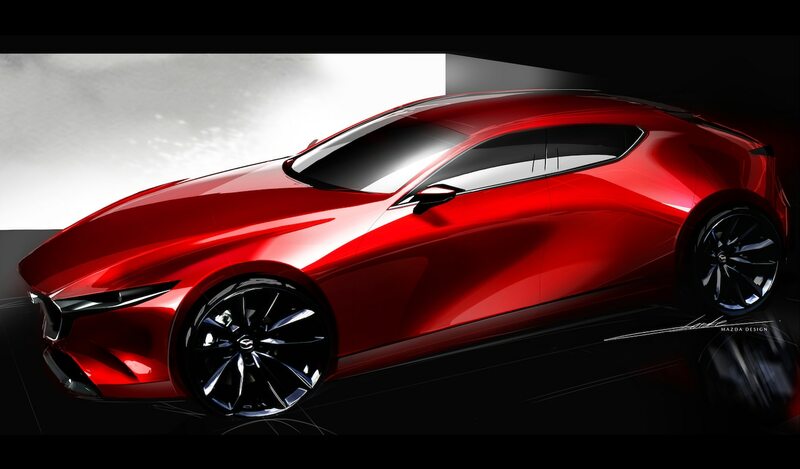 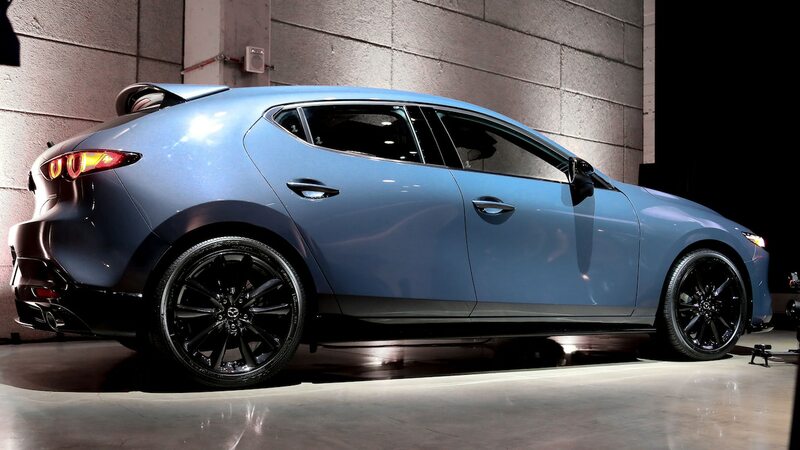 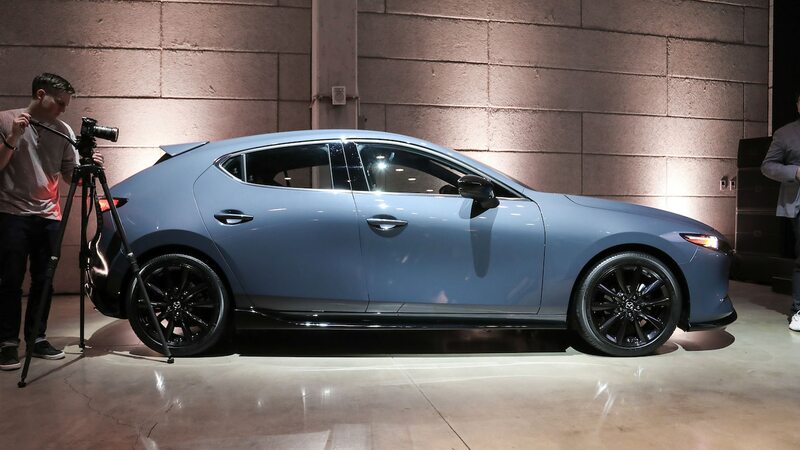 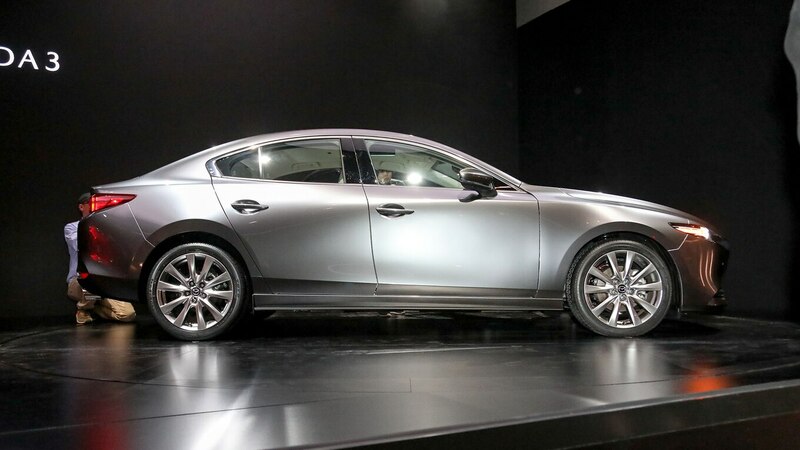 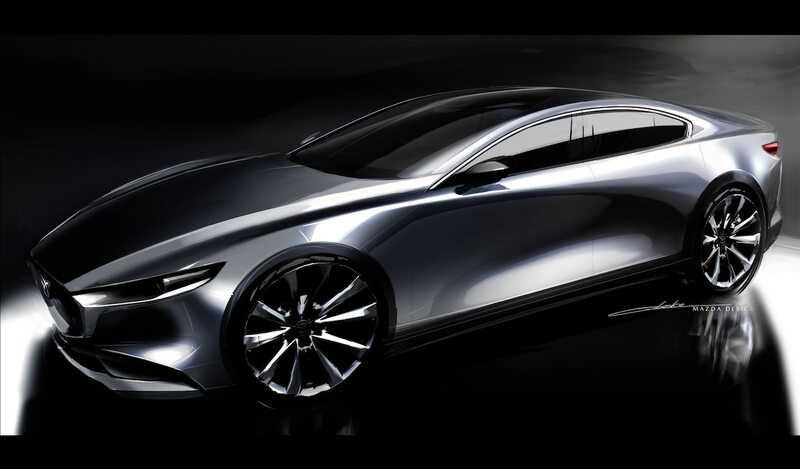 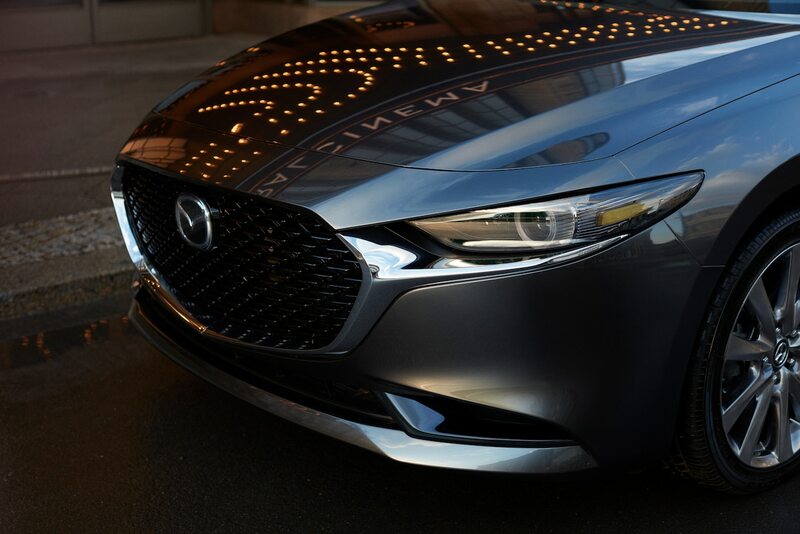 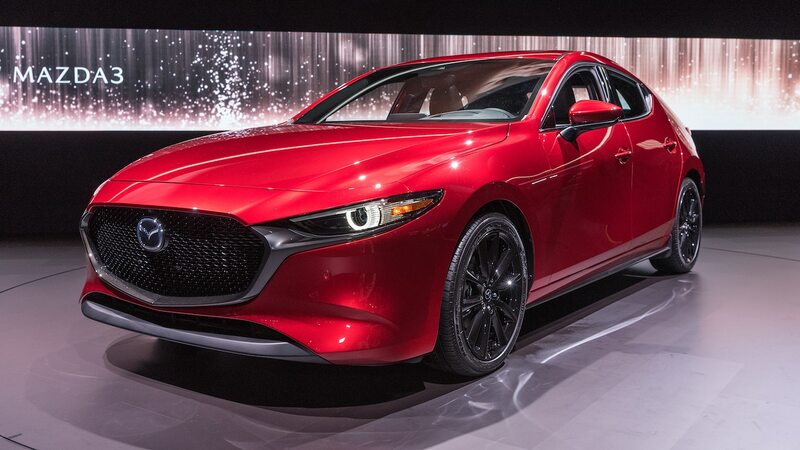 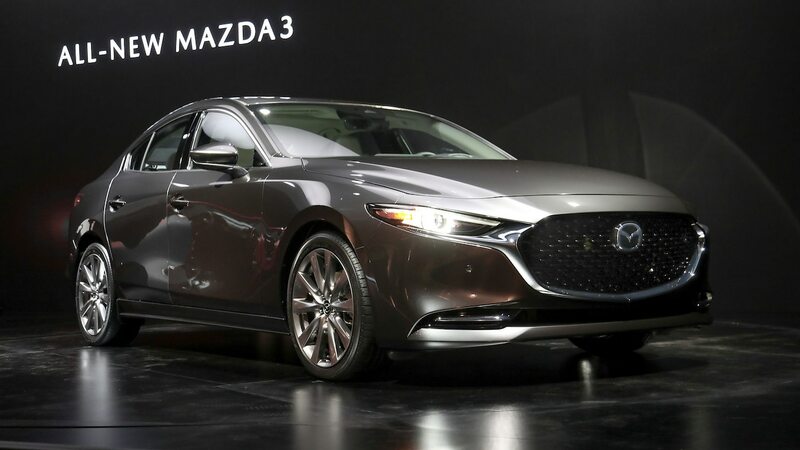 At the 2018 L.A. Auto Show, Mazda again spoke to journalists about its desire to be seen as a more premium brand. 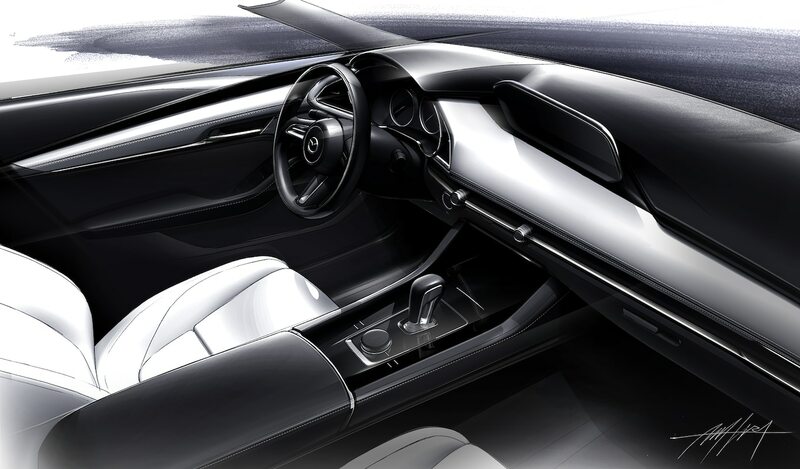 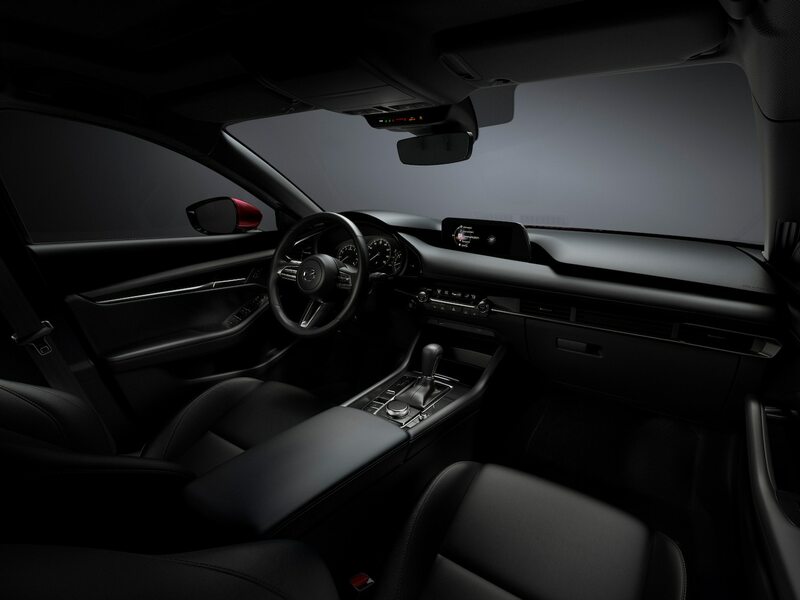 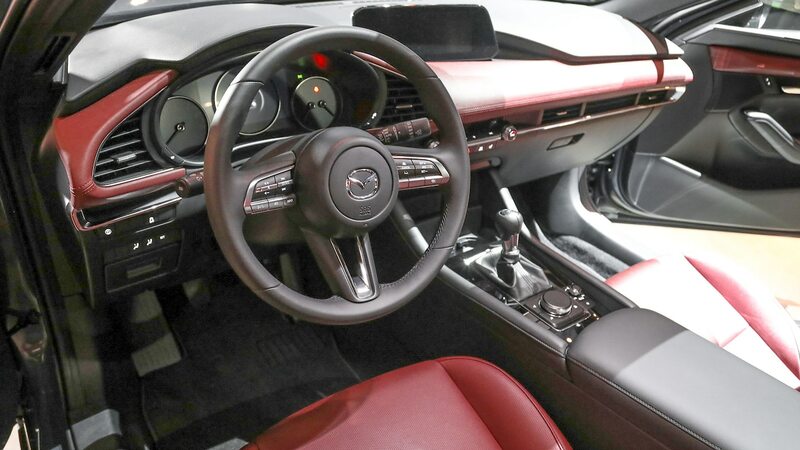 And although I’ll fully believe that when the brand stops producing affordable base models, sometimes details really can elevate an interior above those of its competitors. 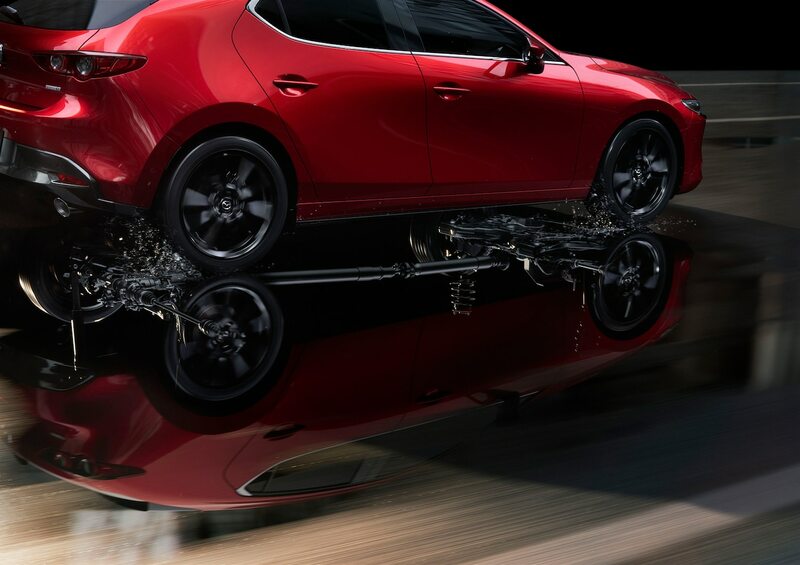 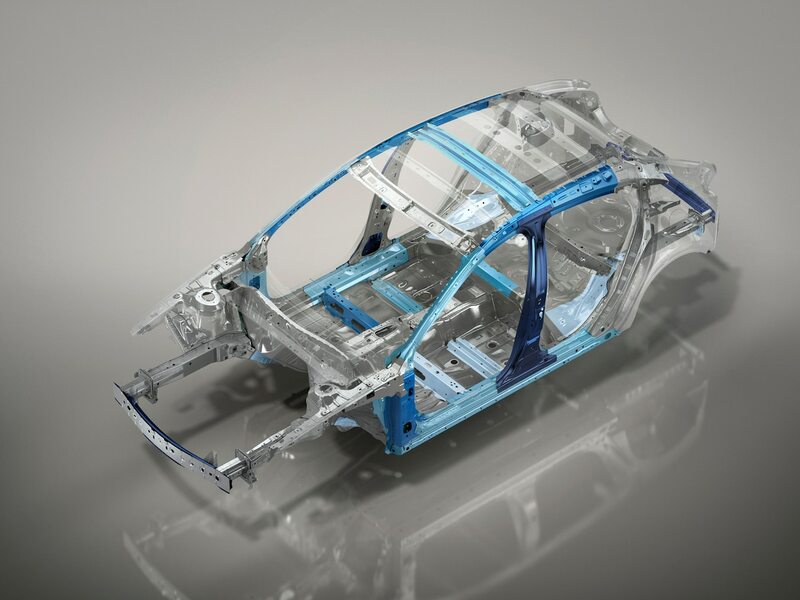 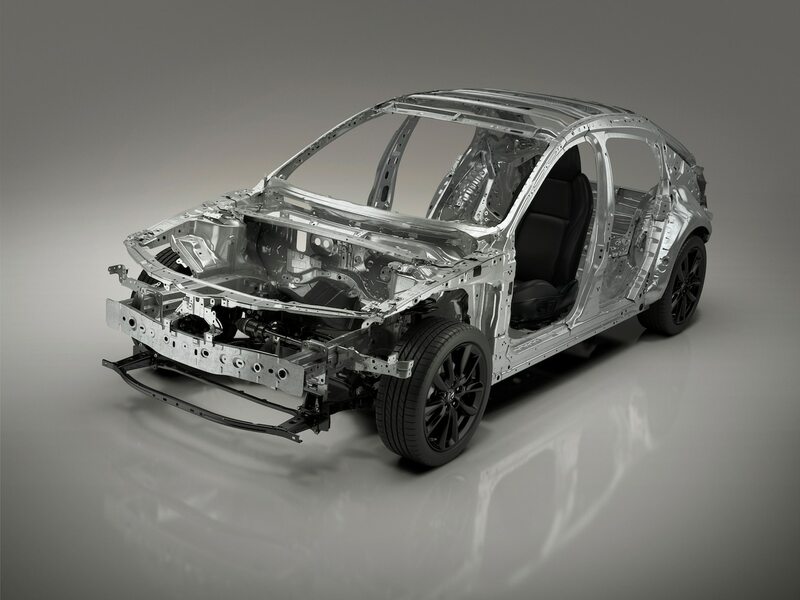 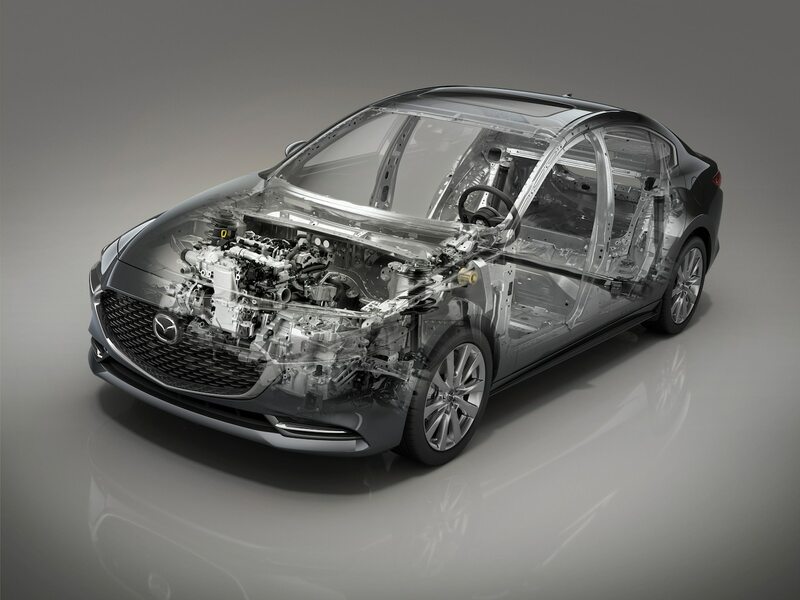 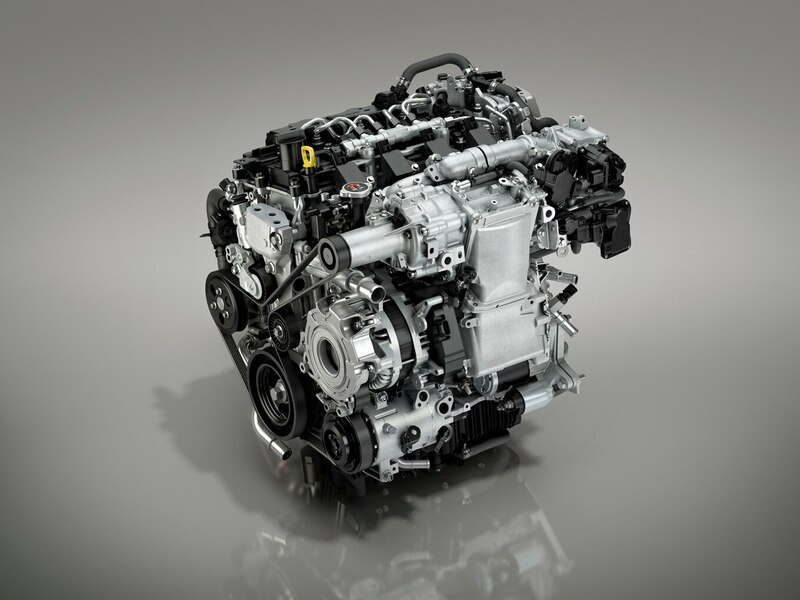 That’s the case with select elements of the 2019 Mazda3. 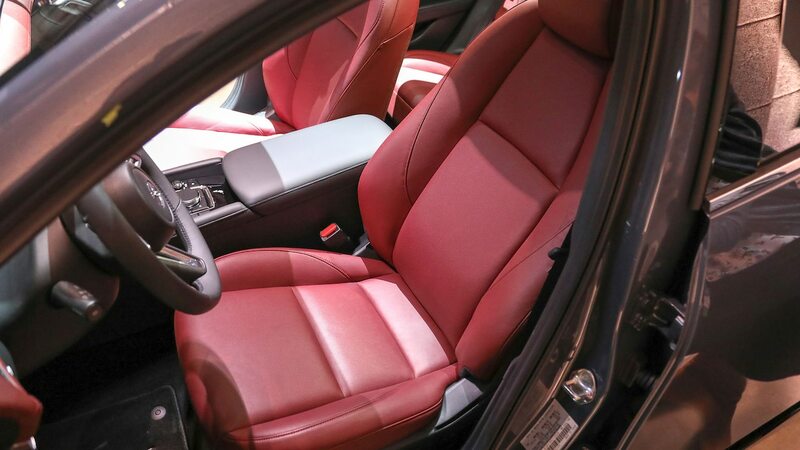 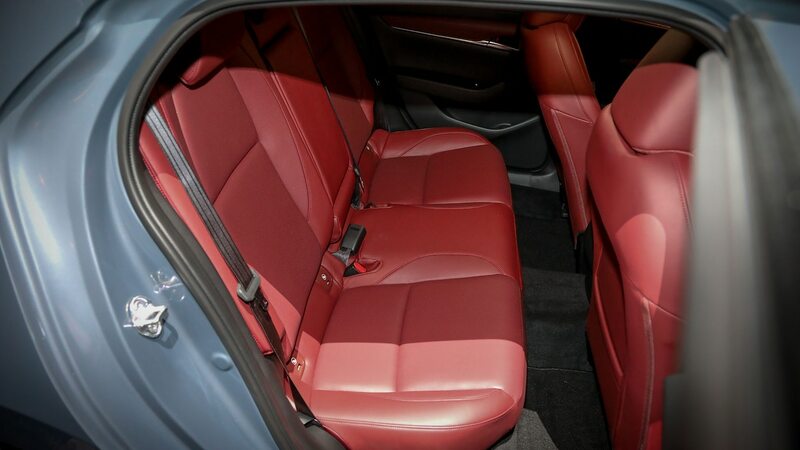 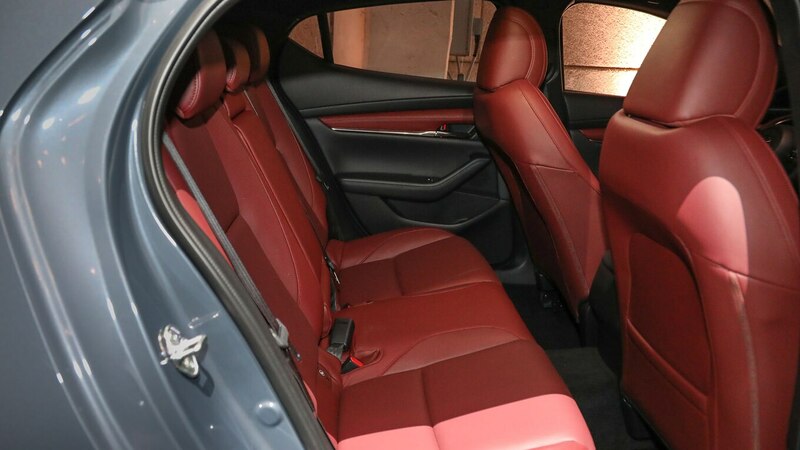 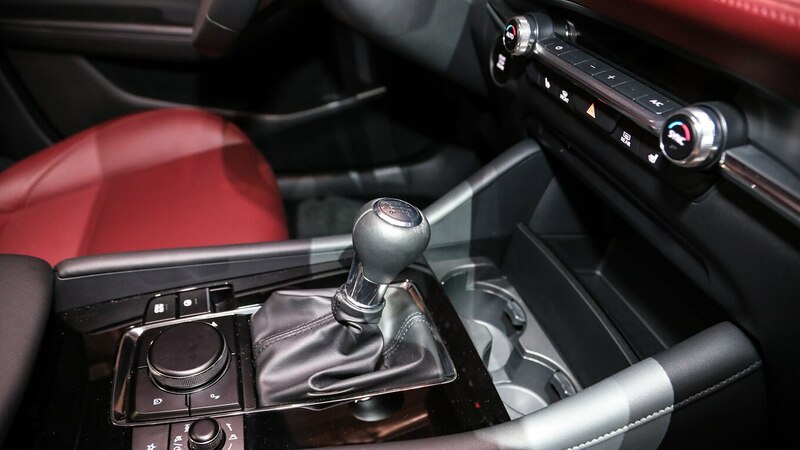 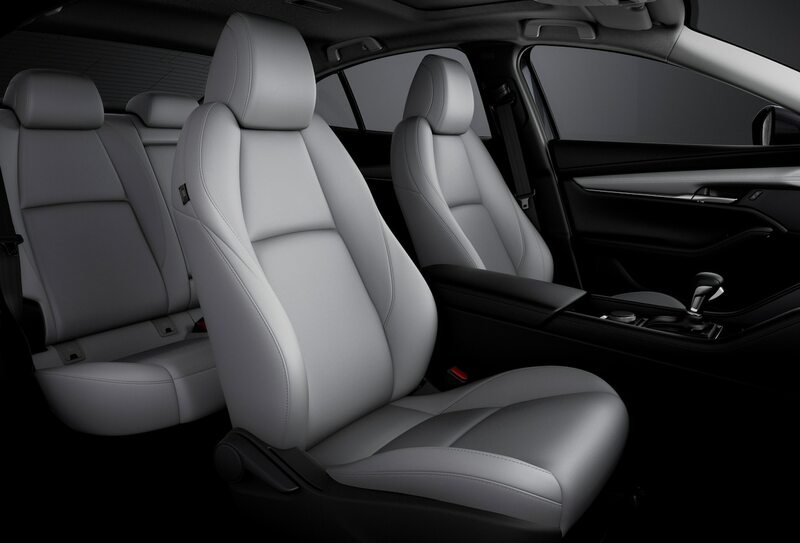 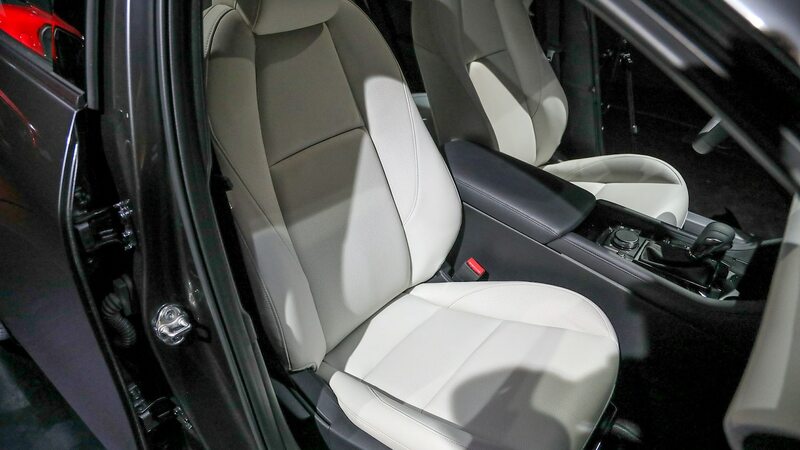 As I was appreciating yet another application of the automaker’s knobs that turn with a satisfying feel, I rested my elbows on extremely comfortable door-mounted and central armrests. 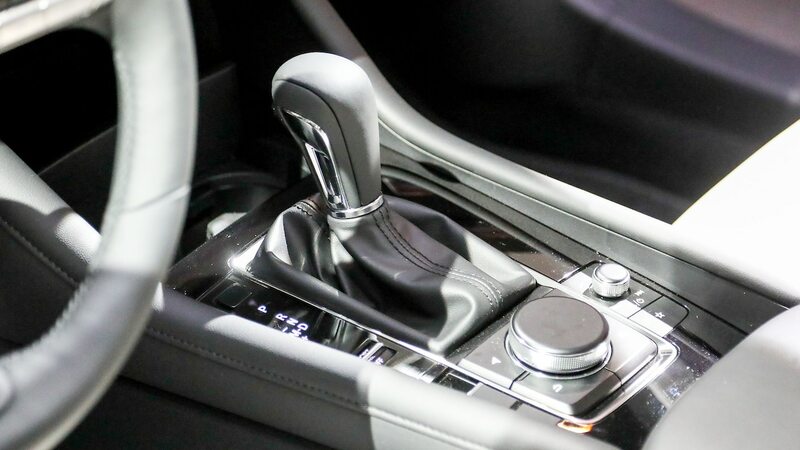 It’s not the first thing you look for in a new car, but if your commute travels at single-digit speeds, suddenly that’s a great feature to have. 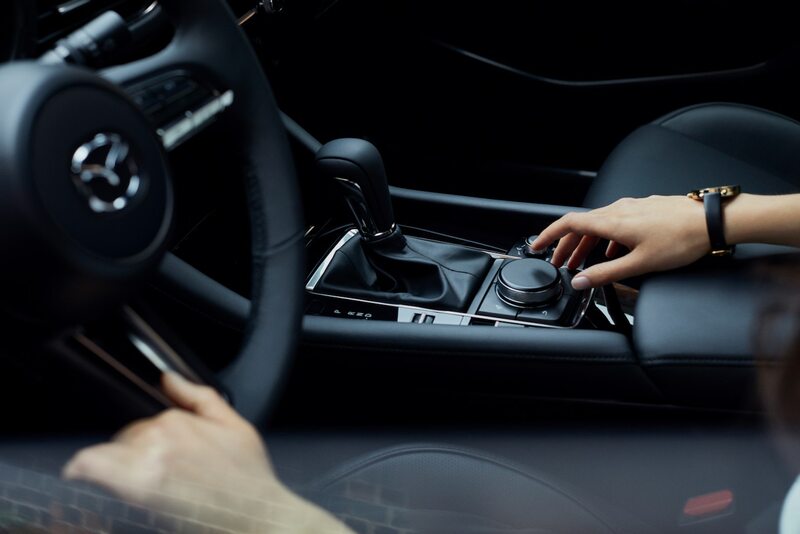 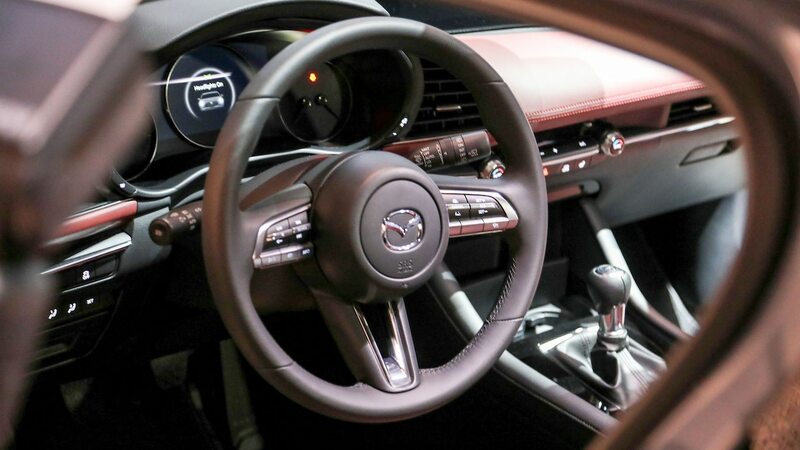 Higher trims of the 2019 Mazda3 will use an 8.8-inch touchscreen that’s mounted, helpfully, at the top of the dash. 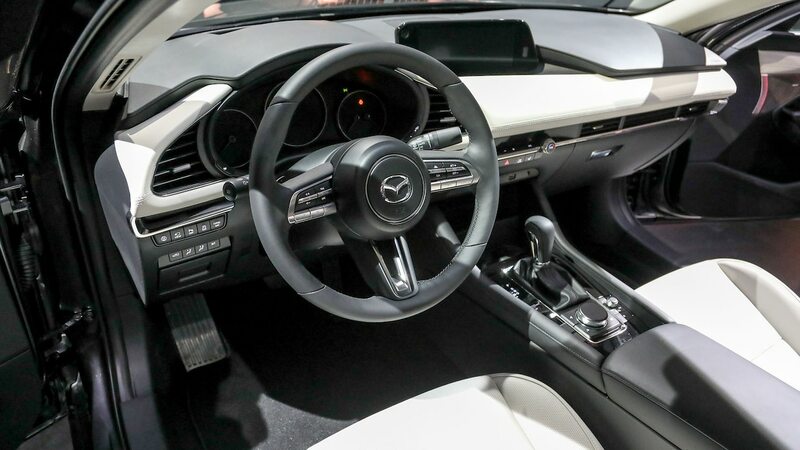 That huge display should be a great perk for compact-segment buyers if it works well, but what I liked in person isn’t just the size. 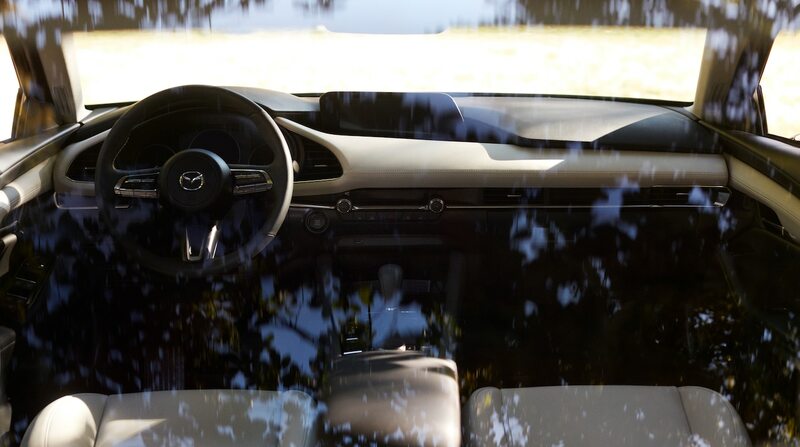 The entire display is canted toward the driver to enhance visibility a bit more. 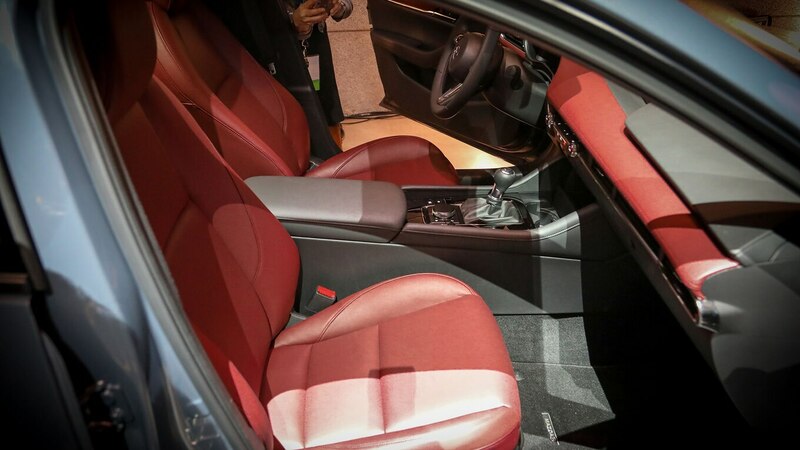 Even if you’re not looking at the burgundy interior available on the hatchback, the large piece of leatherlike material separating the touchscreen from the rest of the center-stack controls looks great. 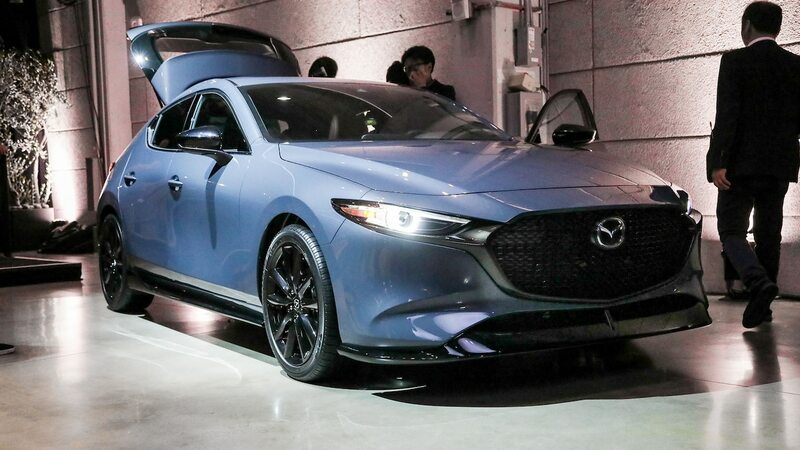 In the past on other Mazdas, I’ve found this premium design falls down a little in terms of everyday functionality, but perhaps it will be different on the 2019 Mazda3. 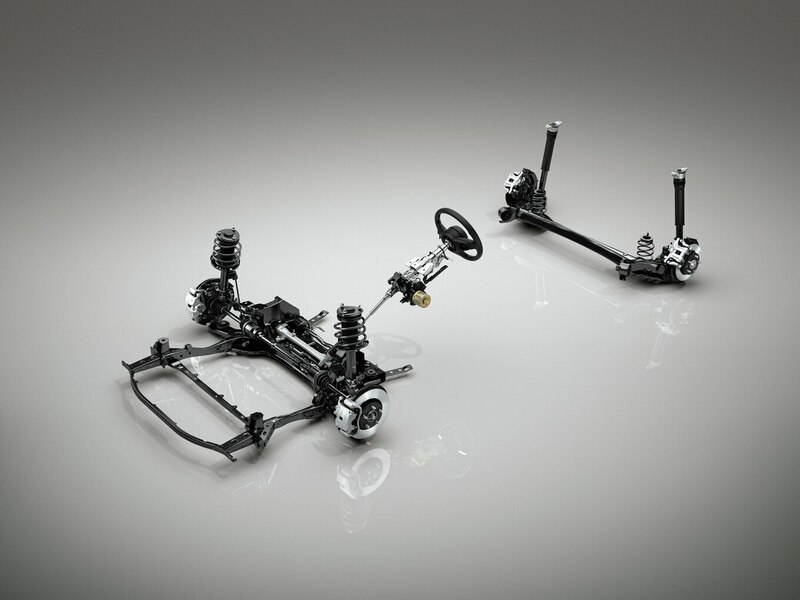 Even on lower-trim models, this separation of controls easily distinguishes your compact from the rest on the market. 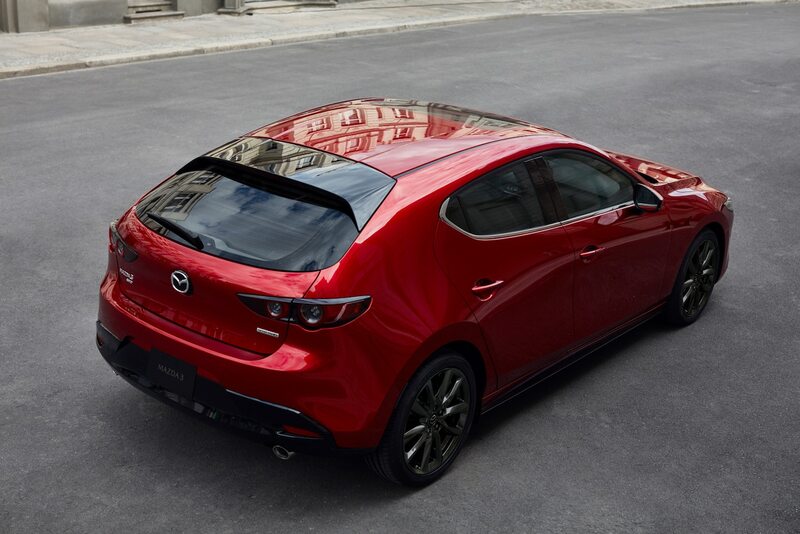 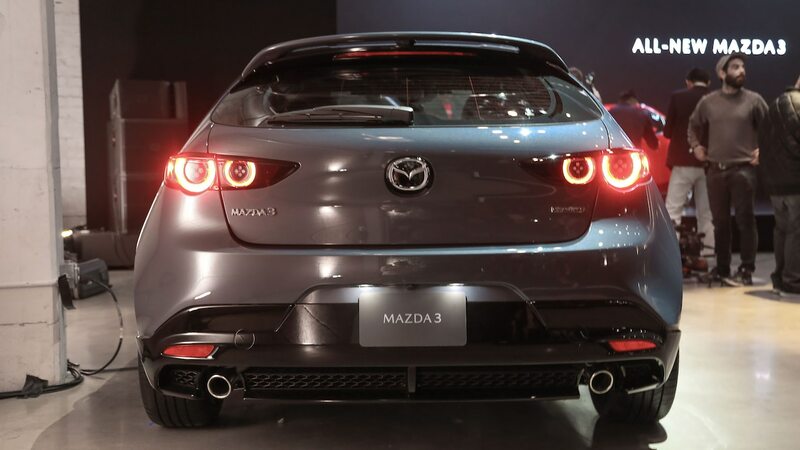 At first, I couldn’t figure out what was catching my eye about the 2019 Mazda3’s backside. 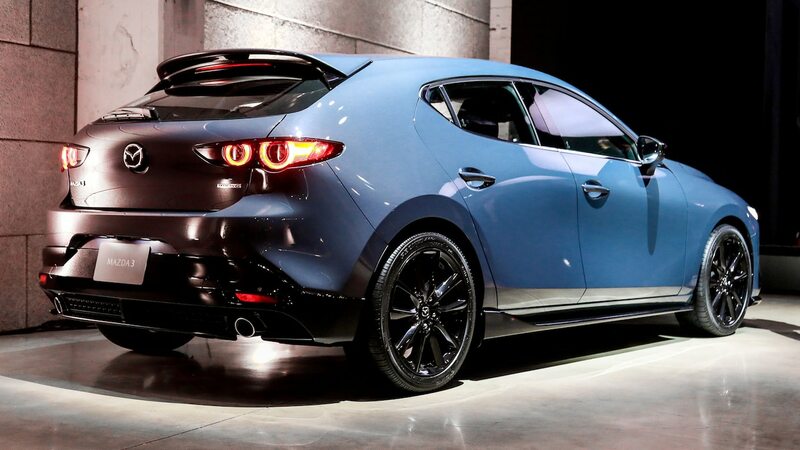 But then I got it—the rear badge pops out from the sheetmetal. 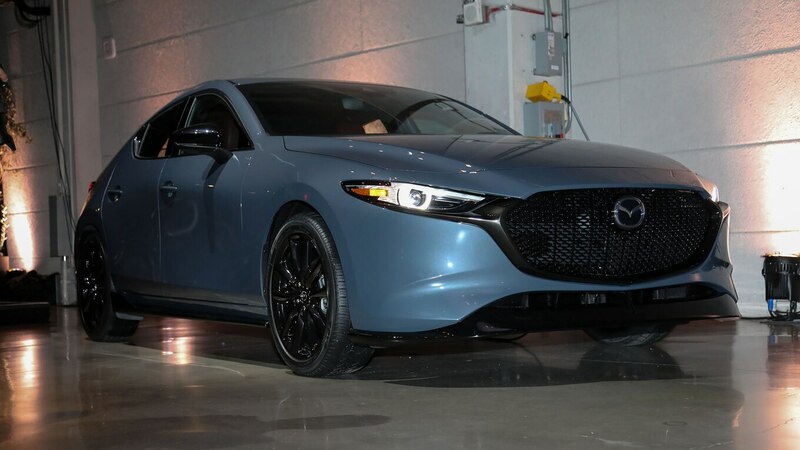 I’m not sure yet if I like or don’t like the detail, which incorporates the trunk/hatch open control, but it’s just another subtle touch that went into this design. 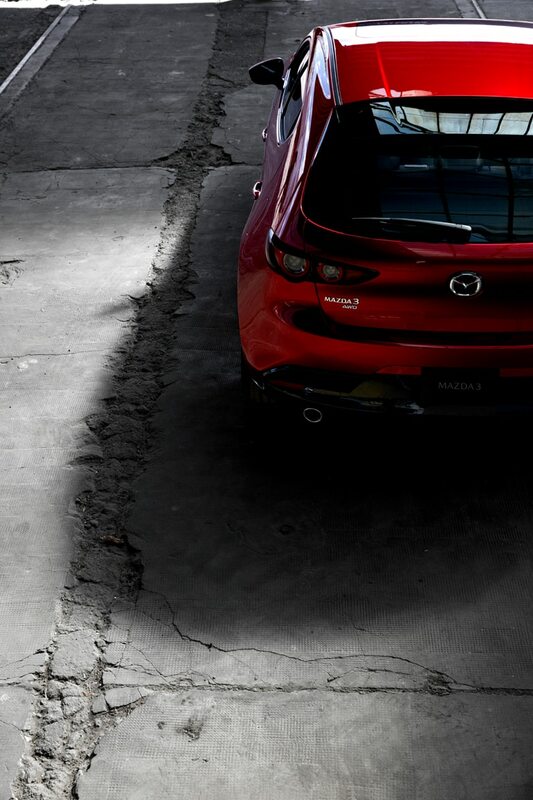 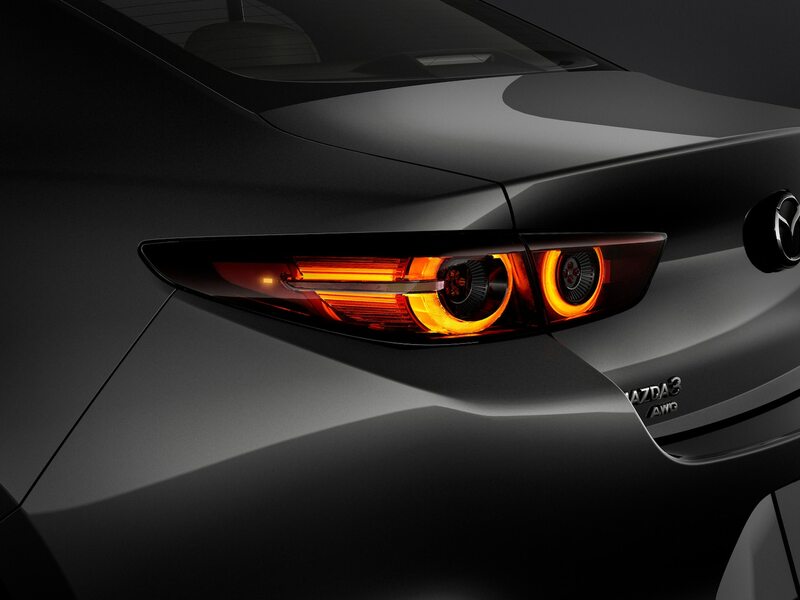 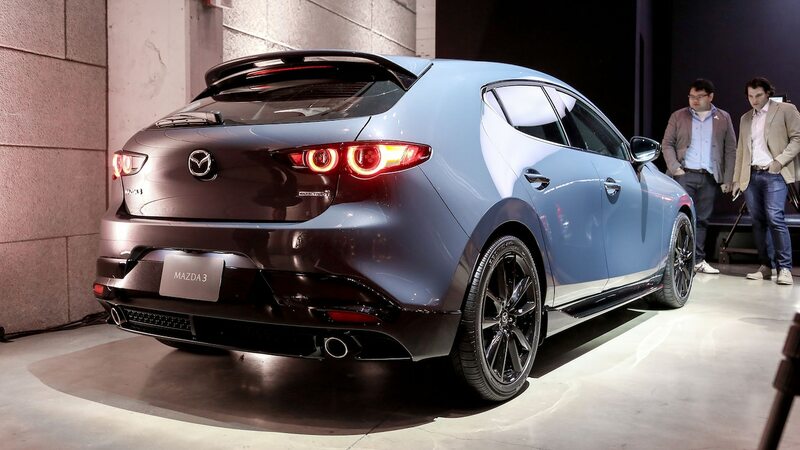 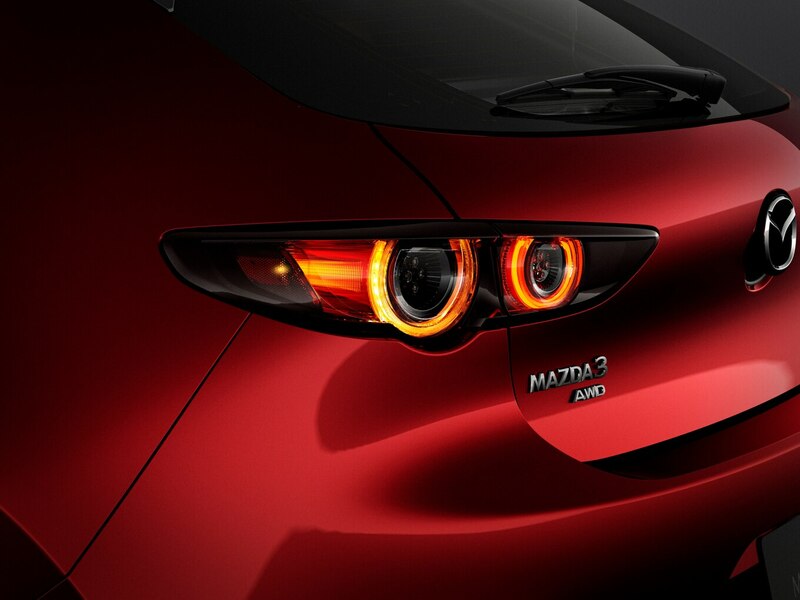 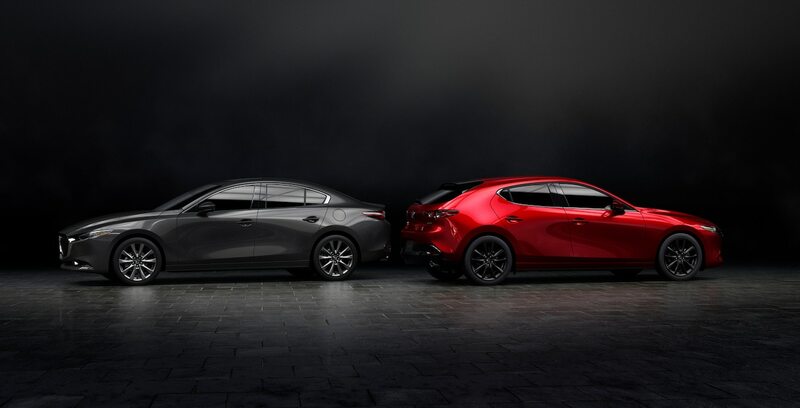 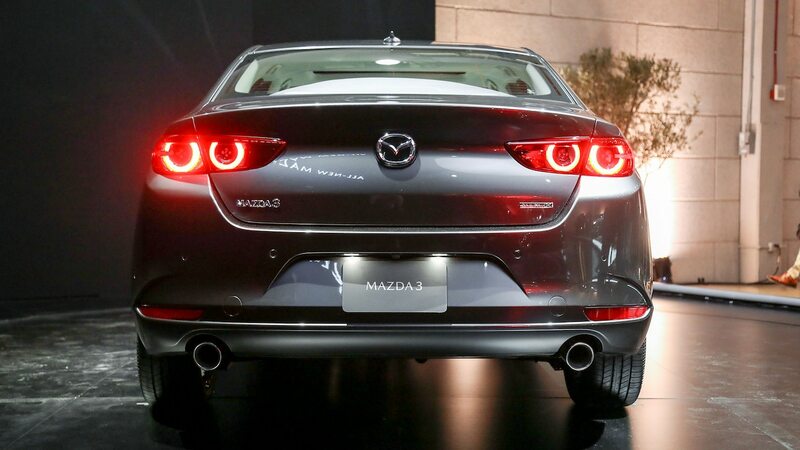 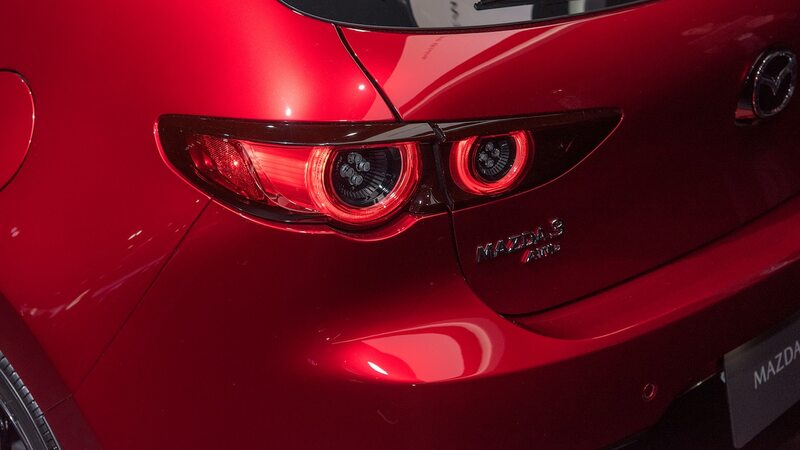 Especially on the hatchback, the 2019 Mazda3’s sports car–like taillights really add an emotional appeal. 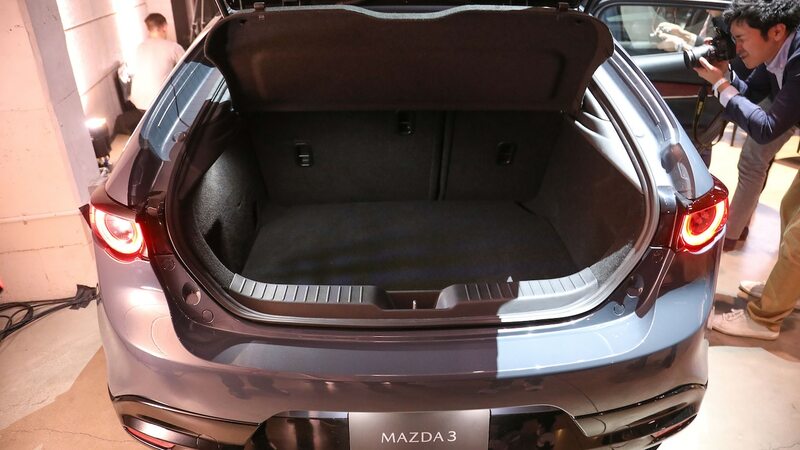 In photos and in person, the circular design—and the way the body panel dips down to accommodate for the larger of the two LED circles—is a cool detail if you’re looking for it. 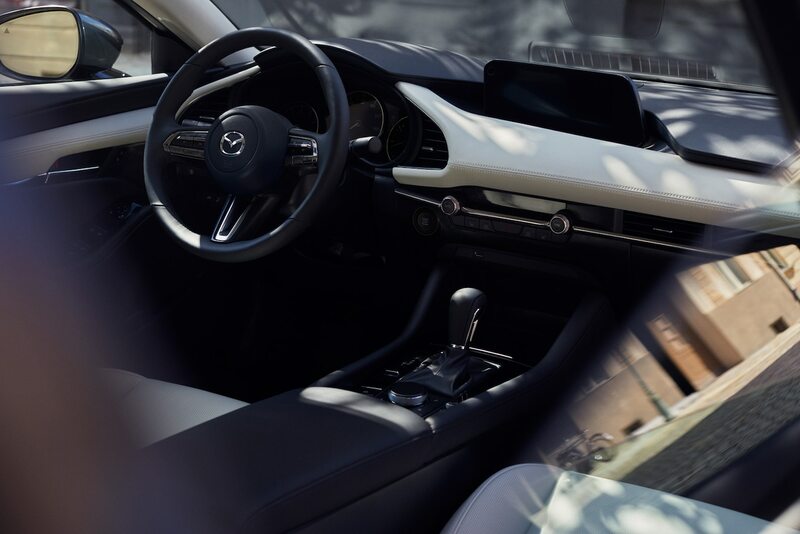 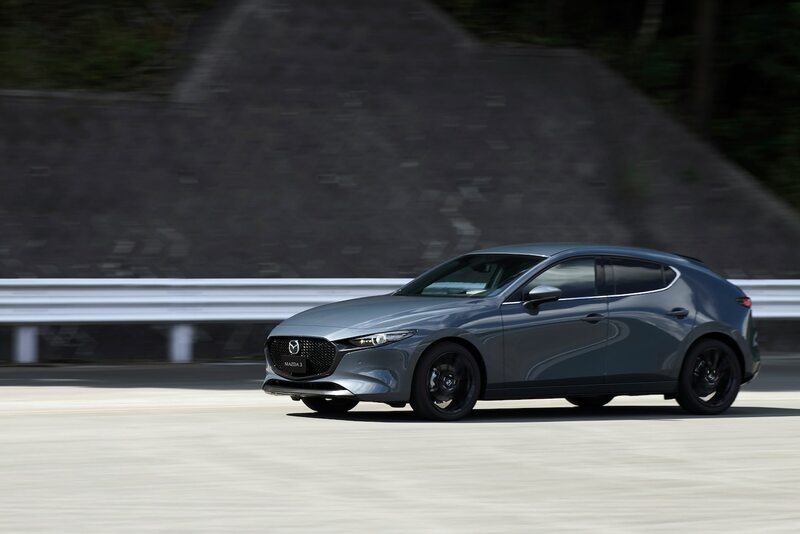 We’re looking forward to driving the new 2019 Mazda3—even when it’s not loaded with thousands of dollars in options like the three L.A. auto show cars—but in the meantime, check out our First Look for more information.